Blog Update: We have less than 5 weeks to go till Race Day…and I need your help! Fundraising for the Leukemia Lymphoma Society and cancer research is at $775 which is just 14% of goal. We have a really long ways to go in a short amount of time! If you donated already, thanks so much! If you haven’t, please consider making a donation. Every little bit helps such an important cause…cancer research to save lives! Training is still coming along. I tweaked my hamstring pretty badly yesterday on a 19 miler but we’re going to keep going. There’s just no stopping fighting the good fight! I have 5 weeks to heal, and I will, and then I’ll run the Columbus Marathon and two weeks later the RWS Double Marathon. There is no quit. At breakfast, Nataleigh’s mom told me the story of Nataleigh and her Boo Boo Bear. 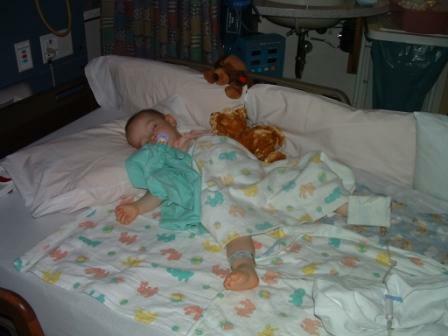 When Nataleigh was first diagnosed, the next day her Mom got her a teddy bear and they named it Boo Boo Bear. Boo Boo Bear went everywhere with Nataleigh and even had an IV put into his arm and had medical tape all over him and treatments just like Nataleigh’s. He was Nataleigh’s hospital buddy for over two years. Then Nataleigh went in for her final surgery after which they removed the IV and tubes for good. Meanwhile, a nurse took Boo Boo Bear away and removed his IV and tubes and all the years of medical tape, fluffed up his fur, and he was waiting for Nataleigh when she woke up after surgery. 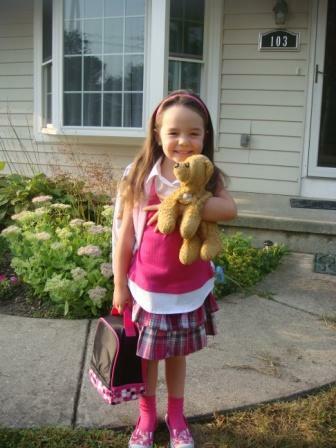 Just recently, Nataleigh got to go to her first day of kindergarten and Boo Boo Bear went with her! Leukemia is still the number one killer of kids under twenty. To give even one more kid like Nataleigh the chance to experience the first day of kindergarten and many more days after, is why I run. If you prefer to donate off-line, please make your check payable to The Leukemia & Lymphoma Society and mail it to me at: 3936 Elmhurst Road, Toledo, OH 43613. Thanks for helping fight the good fight!